The other day I did this fun little floral manicure and I thought I would share it here! I used Sinful nail polish in "Pull Over", I love the taxi cab yellow for spring! After I did two coats of my base color I used acrylic paints in aqua, green, orange, and black to paint a little floral detail on each nail. After it was all dry I sealed it with a top coat. It was actually really easy to do and I love how it came out! 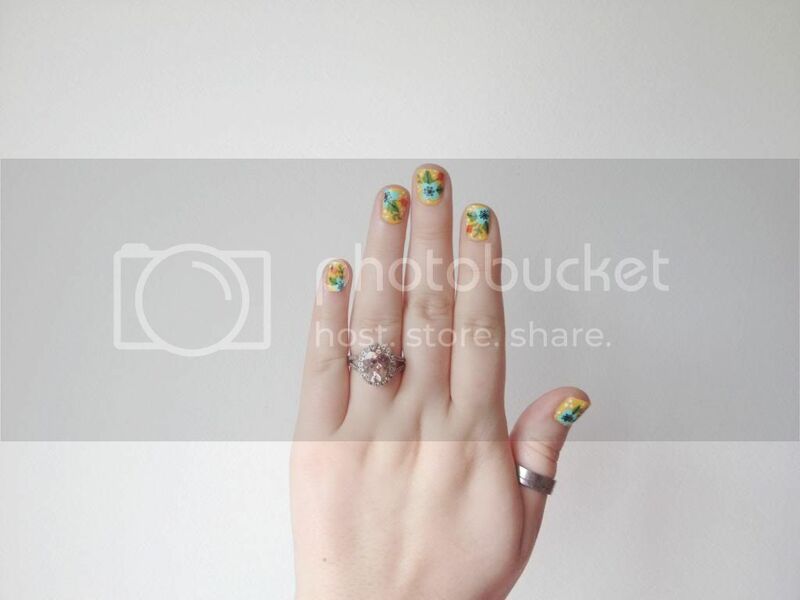 Do you ever do fun nail art? I love personalizing my manis! Oh my gosh, that is absolutely beautiful!